Use this guide to set up a digital tabloid for printing. Read our digital printing guide for essential information before designing your newspaper, and the glossary for an explanation of any unfamiliar words. 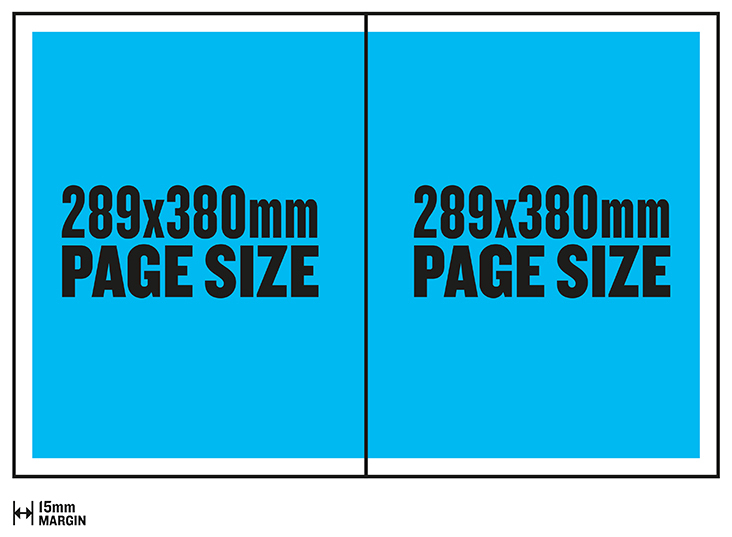 Set up your document to the size of one page - width 289mm x height 380mm. 15mm margin at the top, bottom and outside edge of each page. It is possible to print a double-page spread on a digital tabloid. Pages must be in multiples of 4. Read our digital printing guide for essential information on colours in digital printing. Black and white photos and artwork can be set to print CMYK or greyscale. All blacks are printed CMYK so blacks can be set to print either 100%K or rich black. We recommend you set your image resolution between 150dpi and 300dpi - for more information see our guide to image resolution.